You are here: Home / Articles / Articles / Articles by State / Indiana / How Much Blast Can An Average Soldier Endure? This question was posed by Brian Castner, who authored a piece in The Daily Beast about the Defense Advanced Research Projects Agency’s (DARPA) hopes in discovering that answer. Statistics show how important this research is: 20 percent of veterans who were involved in an explosion are coming home with a diagnosis of a traumatic brain injury (TBI). Many veterans are not aware that they have a TBI because they have not exhibited any of the symptoms. 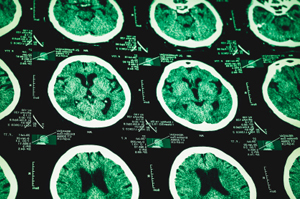 However, symptoms of a TBI can sometimes take years to manifest. Castner’s story has some good news though. DARPA’s nearly decade-long foray into studying the effects of explosive blasts on the human body and brain has resulted in the development of a small device called a blast gauge to be worn by all soldiers in combat. The gauge can measure the severity of a blast and warn a soldier and medical personnel if they need a more thorough examination. Civilians may not be subjected to explosive blasts that are experienced by our veterans, but TBIs occur any time external force alters brain functions. If you incurred a TBI at the hands of a negligent party, contact our firm so we can get you the compensation and help you need. Company Sued After Worker is Severely Burned in Galveston County Explosion Could Truck Monitoring Technology Make Our Roads Safer?